A key piece of equipment in any football kit bag, sports tape is used by amateurs and professionals alike. Designed to keep your socks up and shin guards in position, Premier Sock Tape utilises a soft polyvinylchloride composition for maximum give and comfort whether training or during a match. 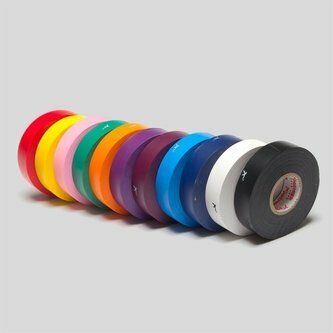 With a width of 19mm the tape is easy to tear and allows for a custom fit. With easy removal and no residue, there is a colour to match your team kit or simply provide a striking look. Under FIFA ruling, for players at all levels, the tape used to hold up socks and shin pads must now match the colour of the sock.